At 12 years old, I saw Niagara Falls for the first time. My family was making a move from Washington State to Toronto, Ontario Canada so we got to make a quick stop there. But I think it was November. It was cold. It was wet. And honestly, I don’t remember much of anything about that visit except that feeling of being dwarfed by this immense feature. And frozen. So when I was able to take a return trip there in 2018 with my two boys (and in sunny and warm August), I jumped at the chance to see it again…for the first time. 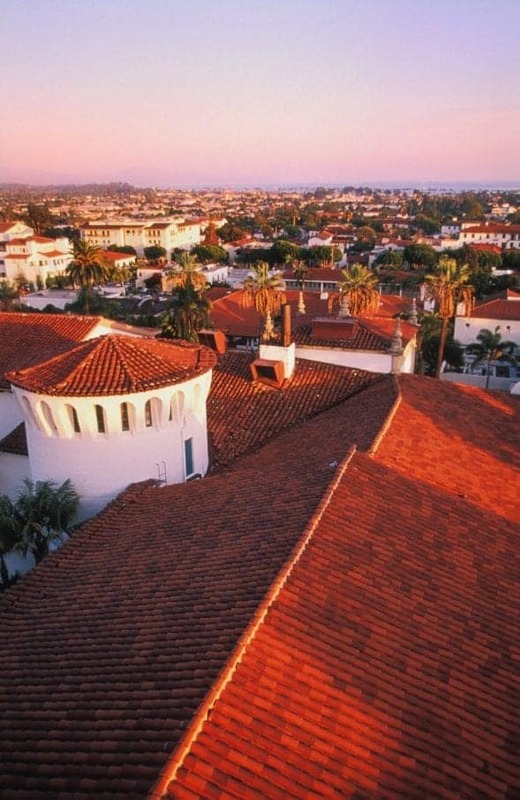 We were making our way very quickly across the country in our RV from Portland, Maine to Chicago, Illinois. 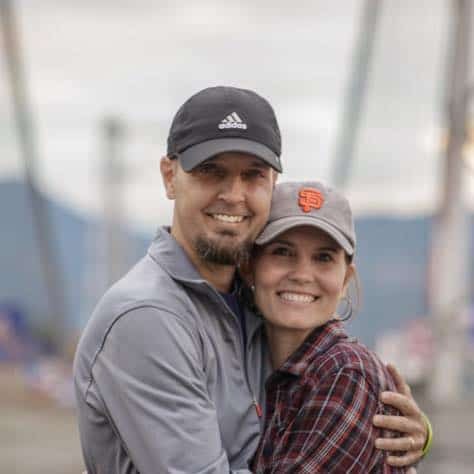 We had to pick up Julie (my wife) from the airport in Chicago as she returned from helping our daughter settle back in at college in Texas for her junior year. On that section of our trip (about 7 or 8 days), we didn’t do much sightseeing. At all. But there was no way I was going to pass up Niagara Falls. First of all, let me just say that 32 years can have a massive impact on your memory of a place. I had NO idea what I was actually going to see when I parked the truck on Goat Island (US side) and we all three started walking toward the falls on that sunny 80 degree afternoon in August. We could hear the falls even before we made it to the parking lot as we drove with the windows down on the truck. And we could see the huge plumes of mist rising up out of the massive gorge, so we knew we were in for something more powerful and spectacular than we had probably ever experienced. As we stepped out of the truck there in the P2 parking lot closest to Top of the Falls, the excitement grew. We found ourselves getting chills (of excitement) as we made our way to Terrapin Point for a first glimpse of Horseshoe Falls. And we were NOT disappointed by those first moments! Peering over the edge of the falls and watching that unfathomable volume of water come rushing down the Canadian Rapids and plunge over 160 feet to the Niagara Gorge below was such an incredible sight. Simply put, we will never forget those first moments with Niagara. But…our adventure had just begun! To be honest, we had not done much planning or research at all before arriving at Niagara Falls that day. We had just been concerned with moving quickly and making sure we made it to Chicago in time to get Julie, so we decided to just show up that day and figure it out. But as we began walking from Horseshoe Falls toward Bridal Veil and American Falls, we quickly got a glimpse of one adventurous activity we had to consider as an option: Cave of the Winds. 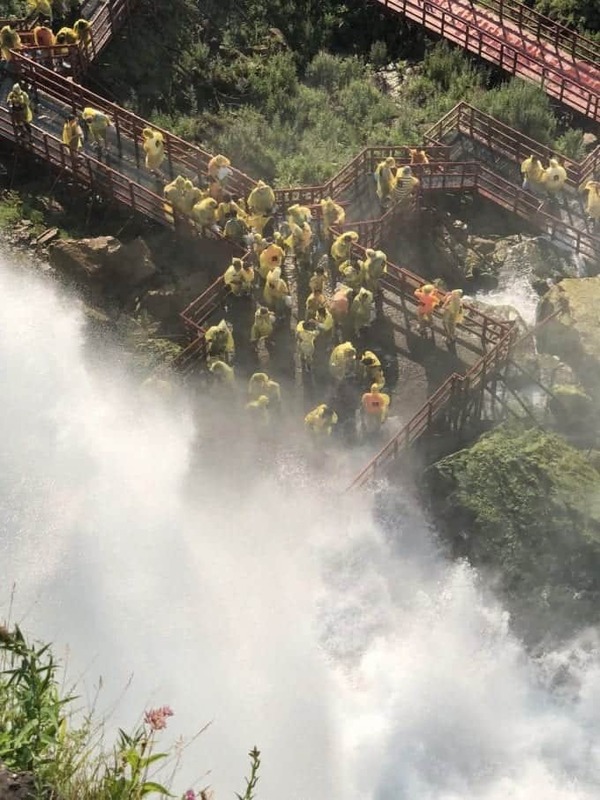 Cave of the Winds is a boardwalk pedestrian tour which will take you closer to the base of Bridal Veil and American Falls than any other option. Specifically, the Hurricane Deck is the stretch of boardwalk that takes you right to the base of the falls where you can experience the full power of this massive feature as the water falls 175 feet to your location below. We watched from the top of Bridal Veil Falls as a few brave souls ventured out to the Hurricane Deck. They were completely pummeled and drenched by the rush of falling water! It was incredible to watch and very entertaining. This is one thing I know for sure: There is no way you will regret taking the Cave of the Winds tour…unless you don’t like getting REALLY wet. They do provide you with a complimentary yellow poncho, but that’s only going to do so much in those extreme conditions. We observed visitors walking around all afternoon soaked to the bone from the Hurricane Deck and trying to dry out in the sun, so be prepared! Purchase your tickets for the Cave of the Winds tour ahead of time here. 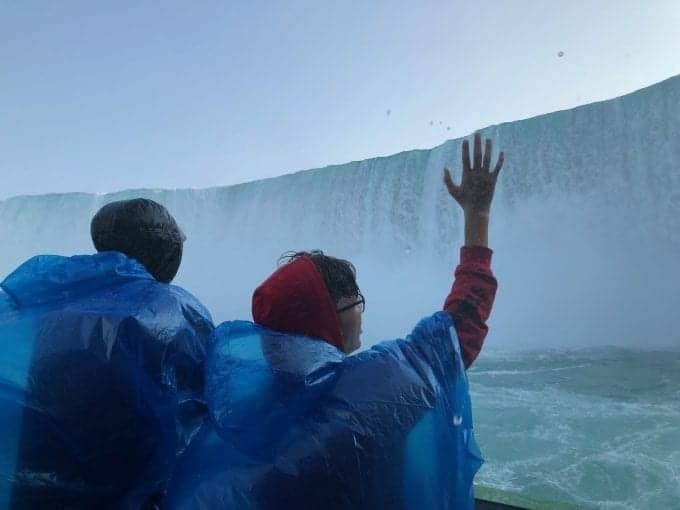 Although we were really tempted to bite the bullet and experience Cave of the Winds, we came across another tour option that we decided we just could not pass up and might keep us a little drier while still getting up close and personal with the Falls: Maid of the Mist Boat Tour. And we could absolutely not agree more after experiencing it for ourselves! 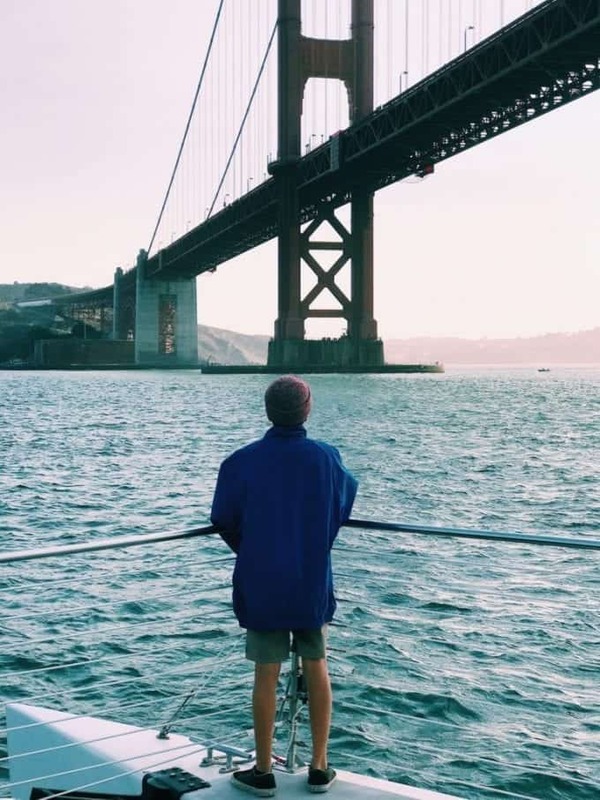 We donned our complimentary blue ponchos and took the short walk down to the boat. We quickly found ourselves on board one of their falls-worthy vessels and right near the bow of the boat where we could get a fantastic view of it all. 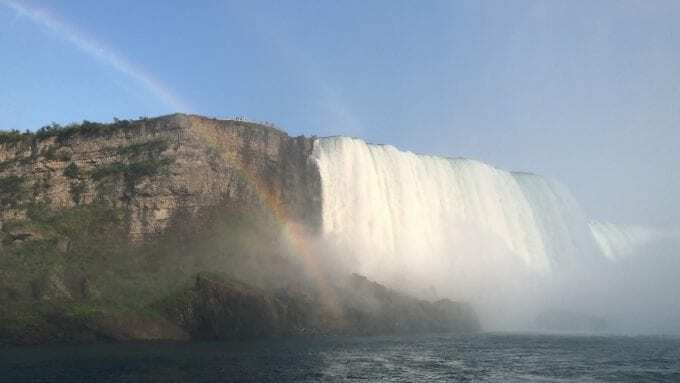 So as we headed out onto the river and toward Horseshoe Falls, we first passed very close by the base of American Falls and Bridal Veil Falls where we got some breathtaking shots of both falls and of the folks on the Cave of the Winds tour. The mist rising from the gorge created a picturesque rainbow over the whole scene to add a surreal touch to the experience. But we hadn’t even reached the highlight of the tour yet! The boat continued south past Terrapin Point, where our adventure had begun, and took us directly into tumultuous waters created by the pounding of Horseshoe Falls. The powerful falls engulfed us on three sides and we were just overwhelmed with the experience…and yes, we did find ourselves getting fairly wet as well! 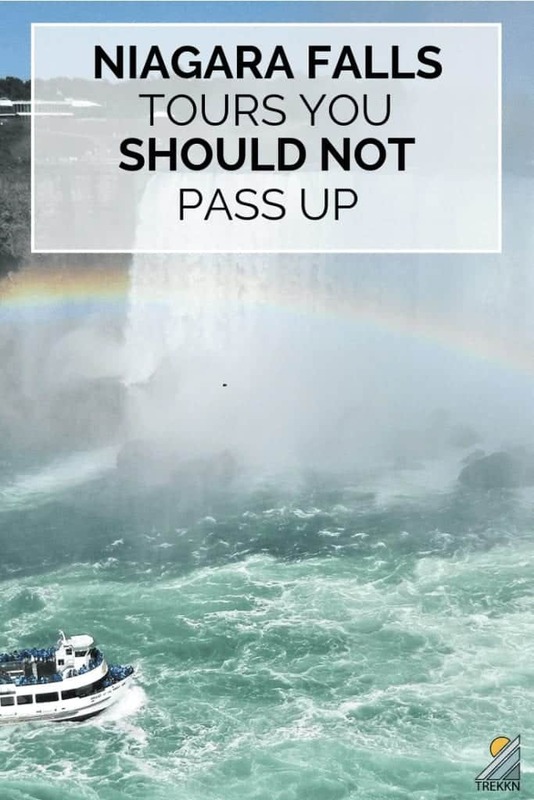 Simply put, the Maid of the Mist Boat Tour was the perfect Niagara Falls Tour for us and we would highly recommend it to anyone interested in getting the full impact of this wonderful location. Purchase your tickets for the Maid of Mist Boat Tour ahead of time here. 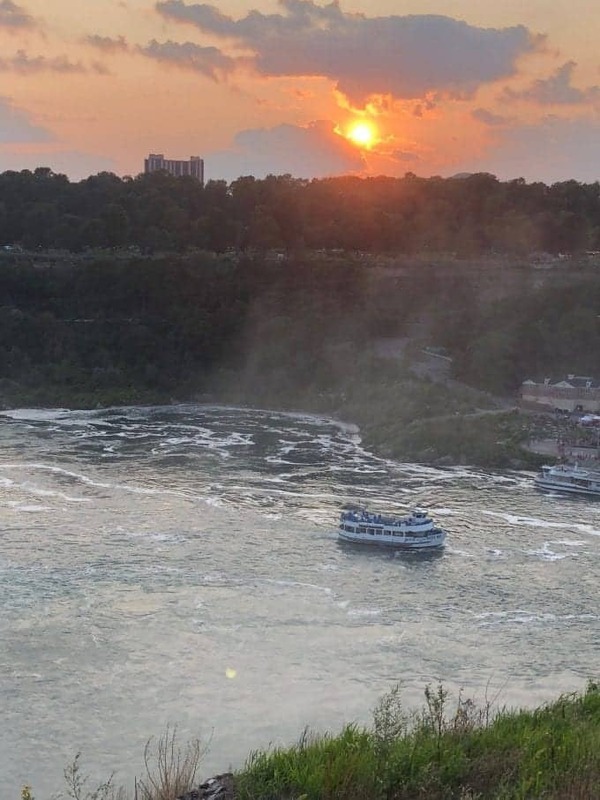 Can’t Decide Which Niagara Falls Tour Is Right for You? 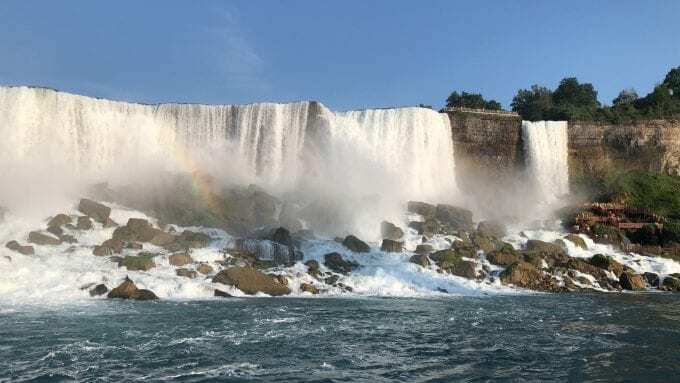 Just choose the tour that you think is right for you and your crew…or consider the Niagara Falls USA Discovery Pass which allows you to experience BOTH of these tours plus much more for one reasonable price. If you’ve got a full day, or maybe two, to spend at Niagara Falls USA then this may be the perfect option for you. 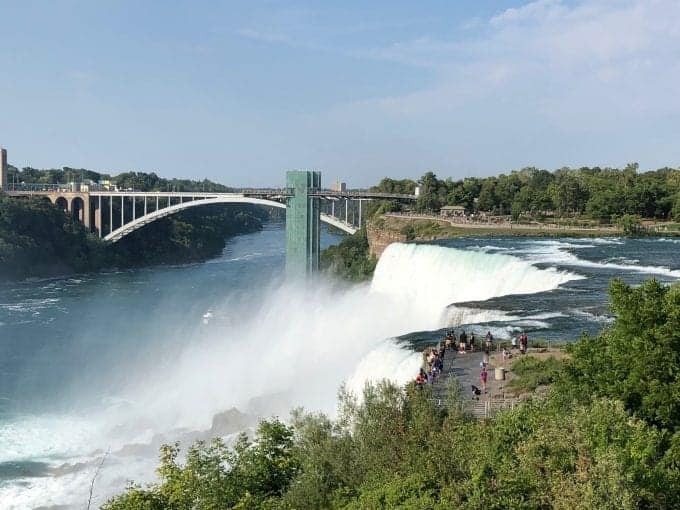 Whatever you decide, I can 100% guarantee that your visit to Niagara Falls will remain at the top of your favorite experiences list for many, many years to come.